For all those devotees who find it difficult to read prayers in the Hindi language, we have Shri Santoshi Mata aarti in English for you. Language shouldn’t be a barrier when it comes to devotion and praying. 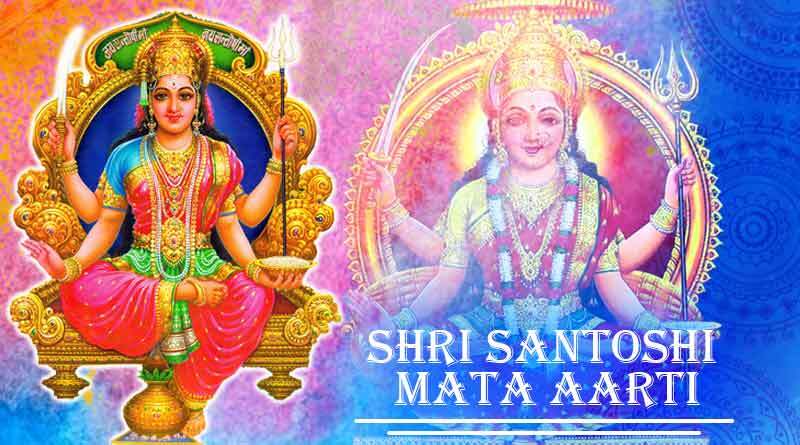 To help you perform your prayer session in full length, here is Shri Santoshi Mata aarti in English. Do you know why do we perform Santoshi Mata aarti? The Santoshi Mata Aarti is performed to seek peace, wisdom and blessings to fulfil all your wishes. It helps to keep at bay all odds and to gain prosperity. Praying to Santoshi Mata also helps couples have healthy children. There are many stories in which Santoshi Mata took various avatars and helped her devotees come out victorious out of tough times. The unmarried girls fast and pray to seek Mata’s blessings to have a suitable life partner for themselves. For more details on Shri Santoshi Mata aarti in English and related updates, like and subscribe to tentaran.com.